As Rwanda and the world note the 20th anniversary of the genocide in that country, much of the focus has been on reconciliations between the Hutu killers who slaughtered Tutsis and the victims’ family members and friends. “Coexist,” a documentary by Adam Mazo, at first seems as if it is merely going to be another effort to draw feel-good stories out of an impossibly ugly moment in history. But it ultimately proves itself much smarter than that, exploring whether forgiveness that is mandated by the government can be genuine. The film, which is being shown this month on some public television stations, including WLIW in New York at 10 p.m. on Thursday, consists mostly of low-key but powerful interviews with participants in the genocide and survivors of it. They relate their experiences from 1994, and some of them sound as if they are buying the maxim that the current government is selling: Forgive, and resume living side by side. The film is being promoted as a teaching tool, part of an initiative to show the destructiveness of “othering”: dividing people into us/them categories. And its ultimate lesson is that reconciliation is difficult to manufacture. Better, of course, not to let enmity take root in the first place. Commemorating the 19th anniversary of the Rwanda genocide with a tribute to a young victim of the slaughter. Coexist is a documentary and educational outreach project in use by more than 3,000 schools and community organizations in 50 states and more than a dozen countries. Hurricane Sandy prompts question: "How do I really react to extreme situations?" Communities recovering from the destruction of Sandy are just beginning the process of healing from the injuries to land, homes, psyche, and sense of safety. The conflicts between individuals born from the devastation were on the minds of some educators in Branchburg, New Jersey as they reflected on the challenges of forgiveness, and the choices each of us makes when facing conflict. Many of these educators sitting in Circles at Raritan Valley Community College were dealing with gas rationing just days ago, fearing they may not be able to get to work and provide for their families. As one woman put it, "I'd like to think I would share gas with everyone, but what if we really had nothing?" Another choice one teacher witnessed, "In Marlboro people were physically fighting over milk." Another teacher responded sarcastically, "And they were really hungry." Others nodded knowingly, the unspoken question left hanging in the air, "What choice would I make if faced with more dire circumstances?" Teachers voiced concern about what people in their communities would do if faced with even more difficult moral dilemmas. Those moral choice points were the focus of the conversations of 40 middle and high school educators from across this relatively rural region of New Jersey half way between Philadelphia and New York City on a chilly late November afternoon. The teachers of Social Studies, History, English, Latin, and Special Education spent much of their time at a table of 8 people exploring the theme of forgiveness by asking, "What conditions have to be met for there to be forgiveness?" "Under what conditions were you able to forgive someone" "What conditions were not met in a situation where you were not able to forgive someone"
One young woman volunteered to her group, "I don't speak to my father, haven't for 5 years. I need to forgive him. If I did start talking to him I wouldn't forgive him immediately. But I am slowly getting to the point of considering forgiveness." She added that even discussing this and thinking about this is a step in a positive direction. The questions are raised by the life-transforming decisions of people who survived and perpetrated the genocide in Rwanda, and the continuing efforts to compel people there to reconcile, now 18 years after the 1994 genocide. Educators began the 3-hour workshop hearing from the Coexist documentary education project team, Director Adam Mazo, and Learning Director Dr. Mishy Lesser who introduced the film by saying, "The people you'll meet in our film Coexist shared their stories with us, stories of why they've chosen to forgive, or not, stories of how they've taken responsibility for their actions, or not, stories of why they think the genocide could happen here in the United States, and why some think that what is happening in Rwanda is best described as tolerance rather than reconciliation." Is it all an act? Some teachers were skeptical about some of the pleas for forgiveness they saw in Coexist, including when a man named Jean-Baptiste pleads for forgiveness from hundreds of people assembled at a reconciliation workshop. "When we saw them on their knees, asking forgiveness, it looks rehearsed." Another teacher asks, "are they learning about this sort of thing somewhere?" Ingando solidarity camps are mandatory for people being released from prison and students are compelled to attend them too. The camps are viewed by some observers and participants as a tool of social control, or even brainwashing. The government maintains the camps are meant to build unity. Another teacher, one of the few men in the workshop, analyzes Jean's statement in Coexist about why he killed and why he is reconciling-- because the government told him to. He asks, "What happens if the state says let's revert to killing next Tuesday?" Another teacher thinks, "Their attitudes suggest they would continue to commit acts of violence if they were allowed to do it." A nun, who is also an educator explained how the process of dehumanization makes violence possible in any place, for any individual, "When you convince yourself the other person is no longer a human being you can do anything to them." Othering and the desire of certain groups to elevate their status over other groups is a tendency that educators in the Raritan Valley are seeing in their schools and in their communities as new and different faces move to neighborhoods that used to be primarily white. Some educators are reticent to name and voice this observation publicly. Coexist aims to open up conversations about how to appreciate difference and build mutual respect among all people. 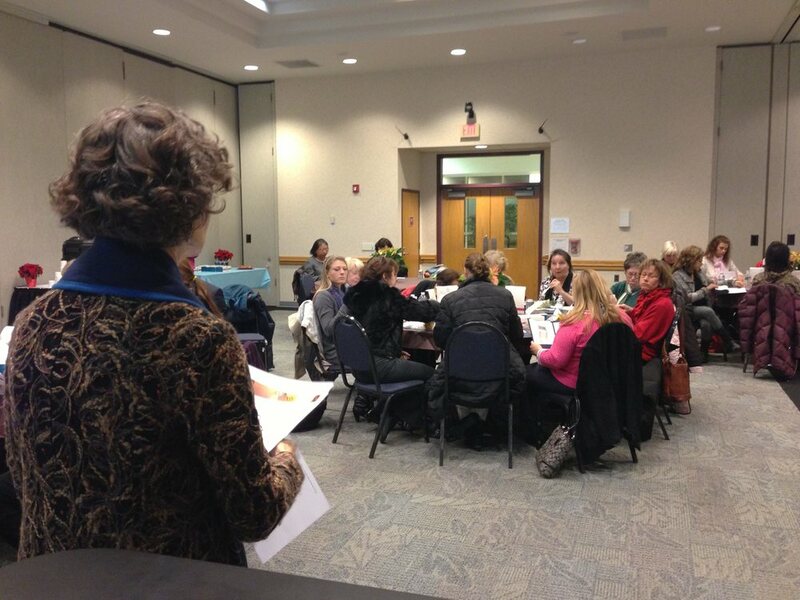 That developing conversation will continue in many of the classrooms of educators in attendance at Raritan. One teacher, Kathy, will pair Coexist and "The Book Thief" for her 9th graders year-long multimedia research projects. As we approach the eighteenth anniversary of the start of the Rwanda genocide, teachers may be looking for resources to help their students understand the agony of what happened starting April 6, 1994, and also Rwanda’s path toward social healing. Coexist is a forty-minute documentary film that tells the story of five survivors and three perpetrators of the 1994 Rwanda genocide, and how they live side by side today. A seven-minute video on Rwandan History provides an overview of why and how the genocide happened, and historic footage shows how the Belgian colonial overlords racialized what used to be a social difference between Rwandans. Together with Coexist, these materials comprise Disc 1. The film and its four-lesson Teacher’s Guide are part of an educational project that aims to help students think and talk about colonialism, genocide, dehumanization, reconciliation, how to deal with difference, the connection between genocide and bullying, and their personal experiences as either victims, witnesses, bystanders, upstanders, or perpetrators of violence. Disc 2 contains material on Rwanda’s approach to personal and social healing, and a short case about one-on-one forgiveness and the importance of doing good deeds as part of the forgiveness process. Educators seeking lesson ideas on complex current issues will find creative and stimulating activities in the Teacher’s Guide that are of relevance to students of ELA, History, Social Studies, and those involved in positive school climate campaigns.